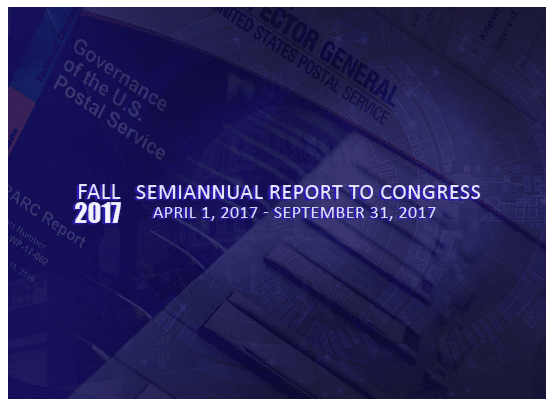 The HHS Office of the Inspector General (OIG) had a busy and fruitful six months from April to September of 2017, according to the Fall 2017 OIG semiannual report to Congress. The Health and Human Services (HHS) watchdog improved its own efficiency by using more sophisticated data analytics to protect program integrity for Medicaid and Medicare. During FY 2017, OIG’s expected recoveries were about $4.13 billion for all HHS programs, with over $1.62 billion recouped in latter half of the year (April to September 2017). During the year, 881 individuals or entities faced criminal charges, 826 faced civil actions and 3,244 were subject to exclusion. This reflects the intense focus OIG has placed on detecting and prosecuting fraud this year. From April to September of 2017 alone, there were 373 criminal and 360 civil actions against individuals or entities for fraud related to health care. Improved data collection and analytics are helping OIG detect patterns that show systematic, multistate fraud schemes. This capacity was a pivotal factor in what the OIG has called “the largest national health care fraud takedown in history.” Together with state and federal law enforcement partners, OIG orchestrated a massive investigation that resulted in criminal charges against over 400 defendants, including 115 licensed medical professionals, in July 2017. The case, which involved over $1.3 billion in fraudulent Medicare and Medicaid billing, spanned 41 out of 94 federal districts. Improved data analytics allowed investigators to connect dots to form a pattern that would have been difficult to see in the past. Part of this case involved charges related to questionable opioid prescription patterns. The report reflects OIG’s commitment to doing its part to curb the opioid addiction epidemic. During this reporting period, over 1,800 individuals and entities were excluded from participating in federal health care programs. Many exclusions are the result of prescription drug fraud or illegal kickbacks. In one case, the defendants bought prescription drugs for and resold them, receiving reimbursement from Medicaid and Medicare. The four defendants are subject to a combined 102-year exclusion from participating in federal health care programs. In Michigan, a case involving the fraudulent prescription of controlled substances resulted in prison time for the 27 defendants, and a combined total of 371 years of exclusion. In New York, an entity that provides outpatient drug rehabilitation was excluded for 50 years after it agreed to settle on charges for illegal kickbacks. Some exclusions are the result of patient abuse or neglect. In one example, a nursing assistant was sentenced to eight years in prison and excluded from participation for 20 years when he was convicted of sexual assault against a patient in a Minnesota nursing facility. OIG also uses suspensions and debarments to prevent the federal government from working with people who have engaged in contract fraud or other breach. In one case during the reporting period, the CEO of an Alabama health center was convicted of embezzlement and consequently debarred. Exclusions can also be the result of wrongdoing by individuals and entities that result in a settlement. Entities and individuals are subject to penalties if they hired someone who they knew – or should have known –was excluded from participating in federal health care programs. Cases like these show how important it is for organizations to have a rigorous process for vetting employees at every level to make sure they are not excluded from participating in federal health care programs. During the reporting period, OIG wrapped up cases that resulted in $22.8 million in assessments and penalties. OIG has an interest in supporting state Medicaid Fraud Control Units (MFCUs) because they are essential partners in controlling fraud, waste and abuse. The multistate fraud takedown in July 2017 was done with the assistance of 31 MFCUs. To improve the ability of MFCUs to partner with OIG on such efforts, OIG started onsite reviews of MFCU programs and offered training for MFCU managers and staff. OIG continues to refine its ability to prevent, detect and control Medicare and Medicaid fraud, waste and abuse in the context of increased political scrutiny of these programs. Health care entities must be vigilant and proactive to ensure that service delivery, hiring and billing practices follow all laws and regulations.